This fall I decorated my mantle, and my home, with simple neutral colors. 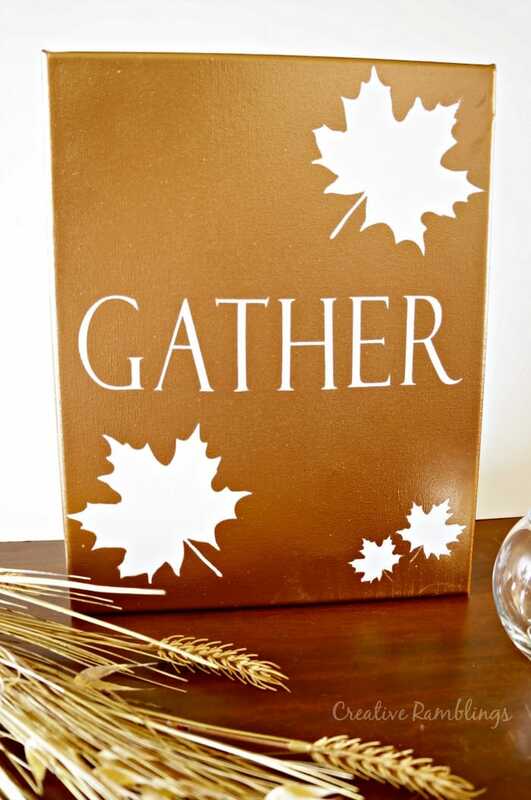 I added touches of bronze and gold in everything I created, my decorations shine against a neutral fall backdrop. This week I added a metallic fall canvas to the mix. This was a spur of the moment project I created with items I found in my craft room. I am partnering with some very creative bloggers today sharing all kinds of fall home projects. Be sure to scroll all the way through this post to see their fabulous projects. I started by using my Silhouette to cut a few leaves and the word Gather out of contact paper. Contact paper makes a great stencil, I’ve used it on a couple of projects. I laid out my design on the canvas then added 2 coats of bronze paint. Once the paint was dry, which took under an hour, I peeled back the stencil to finish my canvas. Contact paper does not make a perfect seal on canvas, it acts more like a paper stencil with a little adhesion. When spray painting canvas, spray only from the top, do not spray from the side, it will seep under the stencil. Spur of the moment craft projects like this are some of my favorite. I have a craft room full of odds and ends and love to put them together in fun ways. This piece is up on my mantle and blends in beautifully. 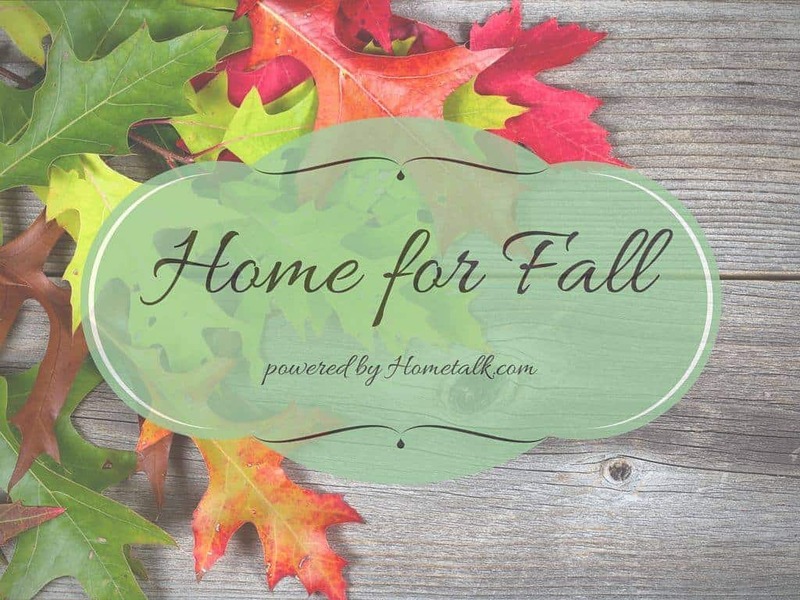 Now take a look at some fabulous fall home and garden ideas below from some of my fellow Hometalk friends, you will be inspired to start creating! Looking forward to checking out your project, love seeing how others use their Silhouette! Thanks for stopping by today. I love it Sarah! So Pretty! Thank you so much Cathy, I love easy crafts! This came out so cute Sarah, and spur of the moment projects are my favorite too! Thanks Roxanne, yes they are fun! What a beautiful piece. I love the gold look for sure. What a cool idea! Beautiful outcome! The metallic adds such a gorgeous shimmer! Thank you Donna, so glad to be a part of this inspiring hop. 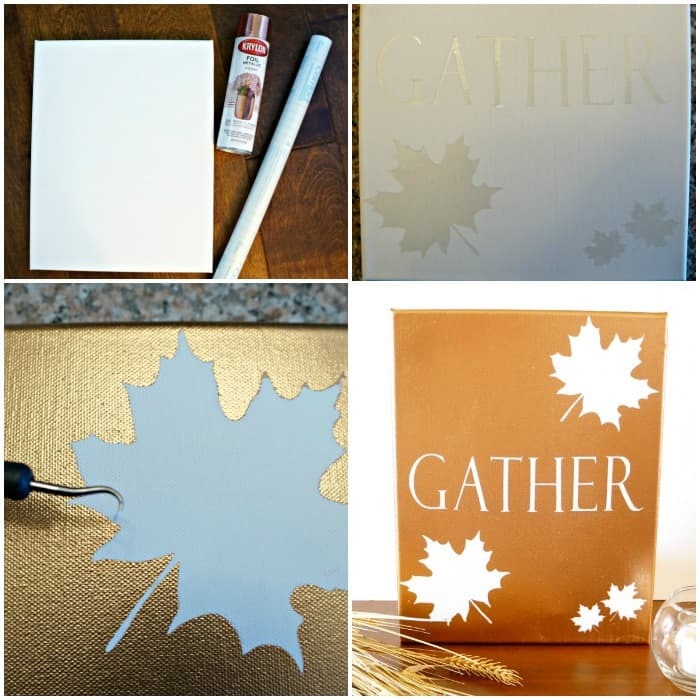 What a fun project – love the shine of bronze for fall! Sarah I think I may have sommented before. I really love this idea it is very so phisticated and elegant and yet simple at the same time. \love your c hoice of color.